This product bundle includes three items, with more than 15 effects that can be carried in your pockets. Cool Mysteries impromptu, requires no special props or preparation. 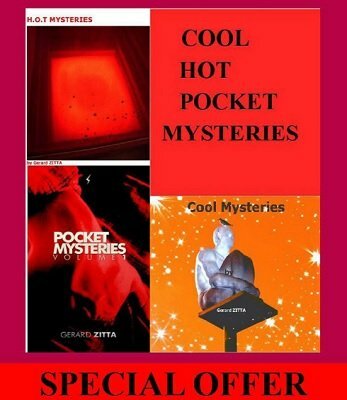 The two other ones need some one-time preparation (only one effect needs a special gimmick): Pocket Mysteries , Hot Mysteries .